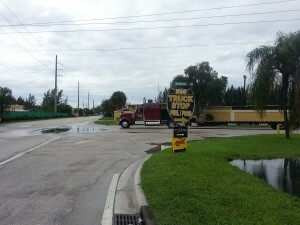 2705 Burris Rd, Davie, FL 33314: We are conveniently located off of State Rd 7 just south of I-595 between US 441/SR 7 and Florida’s Turnpike inside the 595 Truck Stop in the Main Building next to the pumps. Once inside, you will find us across from the diner. Please see the pictures taken from the street below the map – Very Helpful! Directions from ZIP codes below. When your turn onto Oakes Rd. 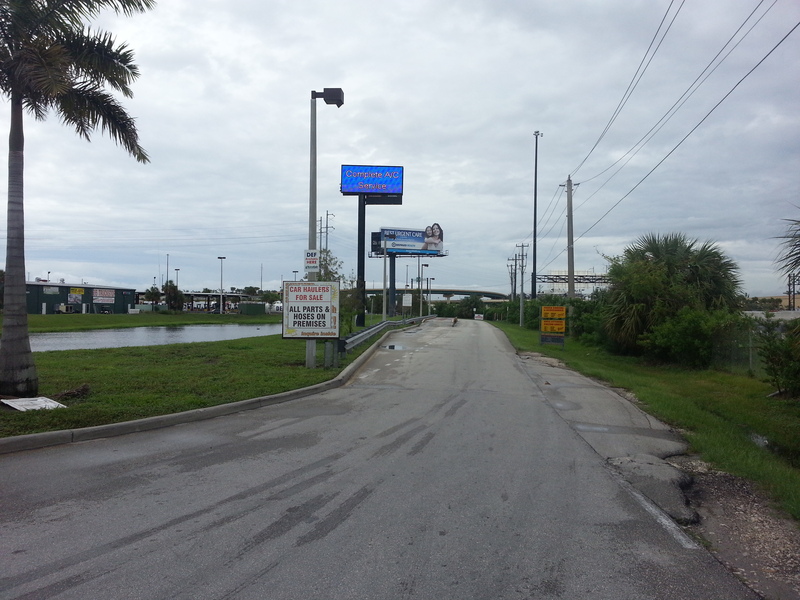 you will see signs for the 595 Truck Stop. Follow these signs to the 595 Truck Stop. You will TURN RIGHT at the T intersection where the red tractor semi-trailer is in the picture. Drive straight down the road pictured on right. 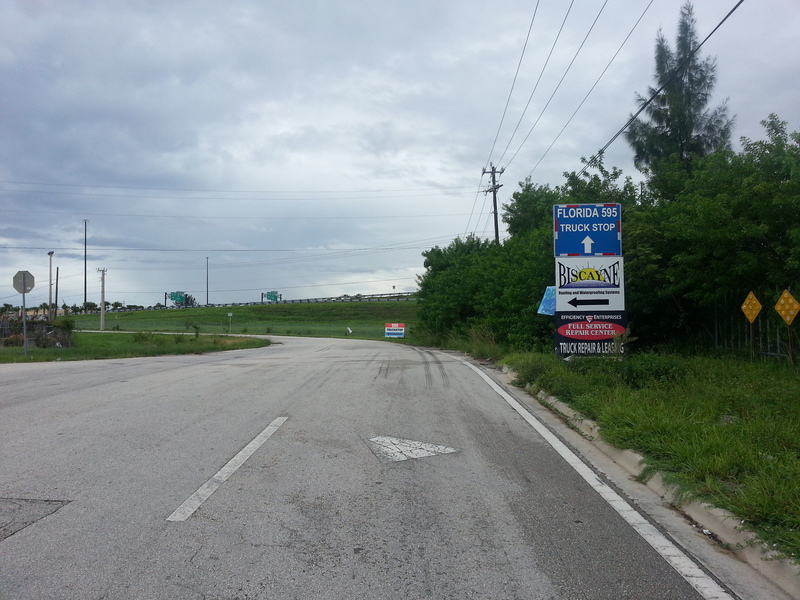 As you get closer to the 595 Truck Stop, the road will begin to curve to the left. Continue driving around the curve and you will arrive at the 595 Truck Stop. Your DOT Physical Exam location is inside the main building next to the fuel pumps. DOT Physical Exam Locations: We are conveniently located south of I-595 between US 441/SR 7 and Florida’s Turnpike. 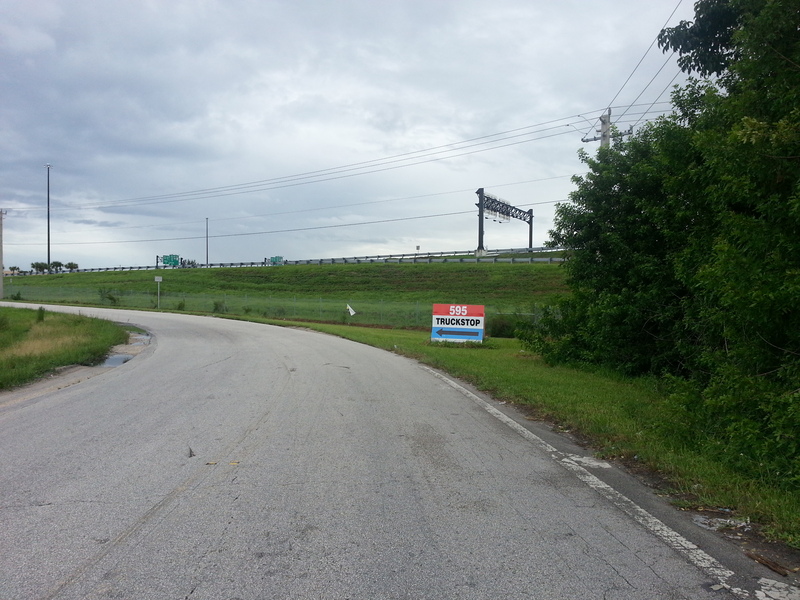 DOT Physical Directions: From US 441/SR 7, turn west at Oakes Rd. 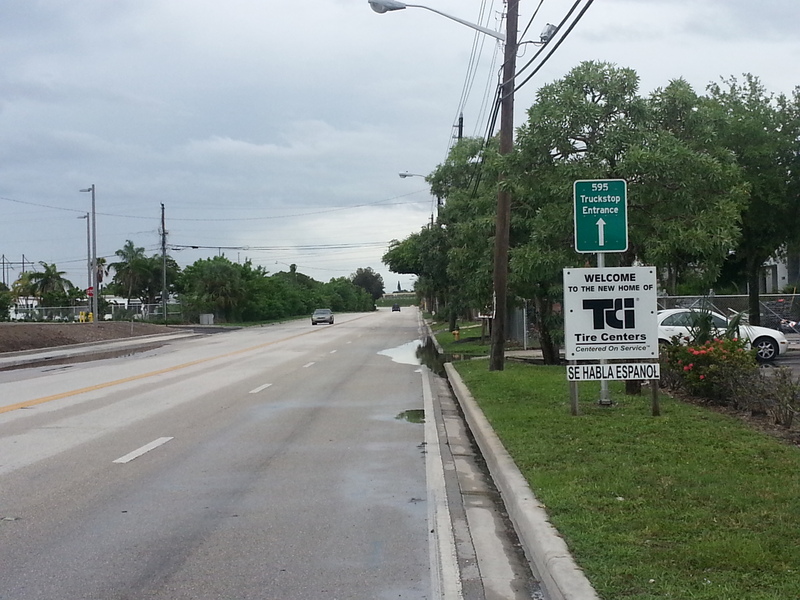 Take the first right at the T intersection following the signs to Florida’s 595 Truck Stop. Continue on Burris Rd. approximately one (1) mile to the end. The road will curve to the left. 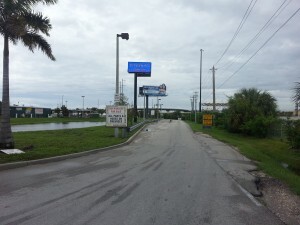 Continue to the Main Building of the 595 Truck Stop nearest to the pumps. DOT Physicals+ is located inside the main building across from the restaurant. Look for the bright yellow DOT Physicals+ sign over our office. 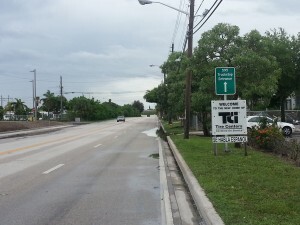 Local DOT CDL Physical Exam locations: If you are familiar with Plantation Davie, then are also accessible from Orange Dr. by turning north onto SW 47th Ave, right onto SW 36th St, and then turning left (north) onto Burris Road where you will continue to our DOT Physical Exam Locations. DOT Physicals Exam location offers convenient times for busy drivers. We offer both weekend and evening appointments. We recommend calling ahead and scheduling a time if you know when you would like to get in. Generally we can get drivers in with little to no waiting. 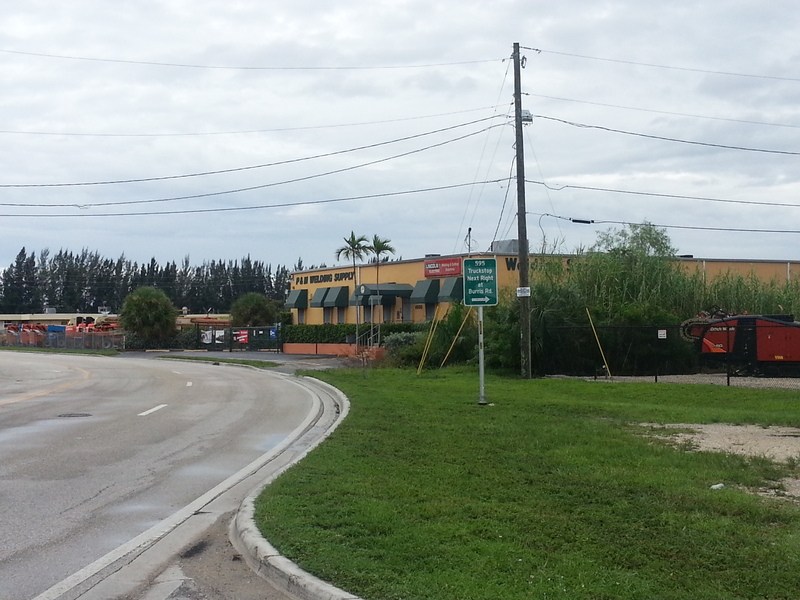 Easy access DOT Physical Exam Locations Plantation, Pembroke Pines, Davie, Lauderdale Hollywood. DOT Physical 33023 Hollywood, FL; CDL Physical 33024 Hollywood, FL; DOT Physical 33025 Hollywood, FL; CDL Medical Exam 33311 Fort Lauderdale; DOT Physical 33312 Lauderale Hollywood; CDL Physical 33313 Lauderhill; DOT Physical 33063 Pompano Beach; CDL Physical 33064 Pompano Beach; CDL Physical 33068 Pompano Beach. DOT Physical 33019; 33020; 33063.